Once a year during the winter solstice, the rising sun illuminates the inner passage at Newgrange in Ireland. 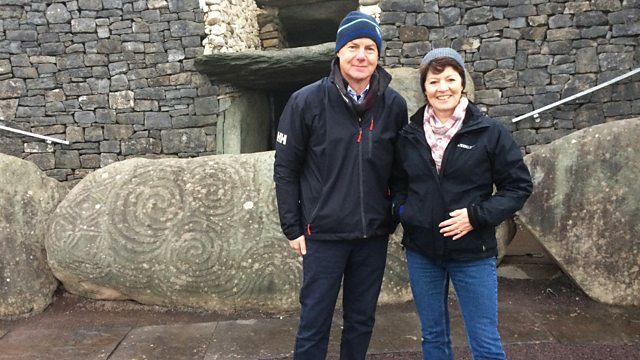 Helen Mark visits this incredible prehistoric monument to learn more. Many people will be aware of the celebrations which take place at Stonehenge for the summer solstice but at Newgrange in Ireland the winter solstice is celebrated by an equally incredible Neolithic monument. To celebrate this years winter solstice Helen Mark visits Newgrange to experience for herself the light of the rising sun on the shortest day of the year as it floods the inner passage revealing the carvings inside. Along the way Helen will discover the precision skills required in order to achieve this solar alignment and the many myths and legends which surround the monument as well as what it means to people celebrating the winter solstice today.